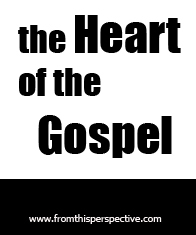 At the heart of the Gospel is Christ’s love for us. Over the course of this series, we have seen that Jesus’ death and resurrection was intentional from the beginning, showing that God’s plan was always to save us. In light of this, we looked at how we are transformed by this grace – rather than conformed out of our own doing. Now that we’ve looked at this extraordinary love given to us, we must take a step back and evaluate the current love we have for Jesus. To do this, we must move beyond our knowledge of why we know we should love Jesus, and begin to look at how we are loving him. For instance, if I said I loved my husband but had very limited conversations with him – you would question my love. If I said I loved a friend, and never read their letters or emails – you would question my love. The same holds true in our relationship with Jesus. Is it possible that we love the idea of Jesus more than we actually love the true Jesus? Do we love the idea of a Savior, without considering what our response should be? The answer most often is – yes. Lucky for us, time after time in the Bible we see the people of God love the idea of God without loving the true God – and we see God always taking steps to renew their love for him. For instance, Saul thought he was loving God when he was persecuting Christians until Jesus showed up, changed his name and identity to Paul – and enabled Paul to live his entire life out of love for Jesus. We see how Peter spent his life with Jesus and then denied him 3 times. Did God find it impossible for Peter to love him? Far from it. Even after the resurrection, Jesus pursued Peter and helped him see what love for him really looked like. In John 21:17, Jesus asked Peter if Peter loved him. After Peter said yes, Jesus told him to feed his lambs. This was instructing Peter to “feed” immature Christians with the word of God. Jesus asked two more times if Peter loved him, Peter responded yes, and then Jesus told him to feed his sheep, an instruction to guide and raise up mature followers. In response to 3 denials of Peter, Jesus gave 3 opportunities for Peter to vocalize his love and specific actions for Peter to affirm his love. How do we apply this to our lives if we feel as if we have loved the idea of Jesus more than Jesus? We must rely on the word of God to remind us of his love for us, to show us what he’s accomplished, and to instruct us on how we may move forward in light of this. For the word of God is living and active, sharper than any two-edged sword, piercing to the division of soul and of spirit, of joints and of marrow, and discerning the thoughts and intentions of the heart. – Hebrews 4:12. – Spend time in Galatians and write down words that affirm your identity in Christ, words that describe God’s nature, and instructions you see for believers. – Spend time in prayer, asking God to renew your love for Jesus, and helping you believe that what you know about Jesus is true for you. Previous Post What am I asking God for?